China is the first country to label “Internet addiction” a clinical disorder. 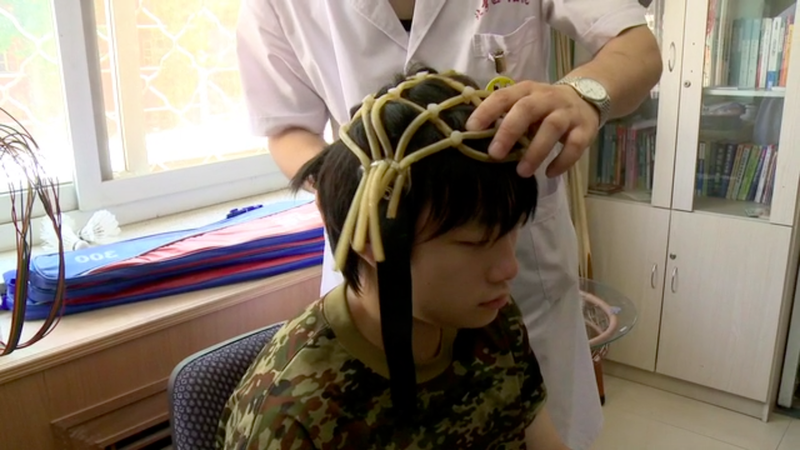 With extraordinary intimacy, Web Junkie investigates a Beijing rehab center where Chinese teenagers are deprogrammed. China is the first country in the world to classify internet addiction as a clinical disorder. WEB JUNKIE is a feature documentary, which identifies Internet Addiction and spotlights the revolutionary treatment used in Chinese Rehab Centers. Internet addiction is now a global issue. An increasing number of people, especially young adults, are using the Internet more than ever before. The film delves into a Beijing treatment center and explores the cases of three young Chinese teenagers from the day they arrive at the treatment center through the 3 months period of being held at the center, and then their return to their homes. The film follows both the underlying issues related to the disorders, as well as the manner and treatment the patients receive. Prof. Tao Ran established the world’s first Internet Addiction clinic, and he promises to cure children of so-called Internet Addiction, an ailment that has grown into one of China’s most feared public health hazards. The program admits children between the ages of 13 and 18; they are forced to undergo military-inspired physical training and comply with monitored sleep and food standards, Throughout their stay at the clinic, they are patrolled by the military guards who protect the children’s quarters, which like prison cells are surrounded by gates and fences. Despite such conditions, parents voluntarily send their children to the treatment center and relinquish personal involvement. There is no one-on-one therapy, and the children’s emotional needs are met with group therapy sessions twice a week. The treatment is very expensive, and parents often have no choice but to borrow money in order to afford to send their child to the clinic. For them it is worth it --steering their kid away from this addiction and redevelop their real life communication skills is a top priority. WEB JUNKIE provides a microcosm of modern Chinese life, examines inter-generational pressures, and takes a hard look at one of the symptoms of the so-called Internet age. Shosh Shlam is the director and producer of "Last Journey into Silence" (2003 - Channel 1 Israel, Canal Plus Poland), a story about Holocaust survivors in mental institutions in Israel, which won best Documentary at the Lublin Film Festival , the best Documentary Honorable Mention at Haifa International Film Festival, was nominated for "Golden Sheaf" in Yorkton Canada and won the "Columbine Award" for Best Documentary. Her next film, “Be Fruitful and Multiply” (2005 - Channel 2 Israel, ZDF Germany) is a story about women's oppression in the ultra orthodox society. Good Garbage (2008 - channel 2 Israel, RTL Europe, CBC Canada) describes the struggle for survival at the garbage dump in the West Bank, where Palestinians (most of them children) earn their living from the garbage of the Jewish settlers. The film won an award for Best Documentary at the Shanghai Film Festival in China, FICA Film Festival in Brazil, and an award for Best Cinematography at the Israeli Documentary Forum Awards. Recently, the film was chosen by Michele Moore for a screening at the Travers City Film Festival. Shosh holds an MA in Comparative Literature from Bar Ilan University. She is also a graduate of the Theatre Department at Tel Aviv University, and studied at New York’s School of Visual Arts. A Peabody Award-winning director and producer. Hilla Medalia has received three Emmy nominations, and won the Golden Warsaw Phoenix, as well as the jury awards at FIPA, and Faito doc. Hilla's most recent film “Dancing in Jaffa” premiered at the Tribeca Film Festival, won the editing award at Docaviv and the "Honorary One Future" award at Munich Film Festival. Danicng in Jaffa is expected to have its theatrical release in 2014 in the US, France, and Germany and is participating in Sundance Institute Film Forward program. For her documentary “After the Storm” (MTV), Hilla won an Audience Award at the Woodstock Film Festival and the Crystal Heart Award at Heartland Festival. Past projects include “To Die in Jerusalem” (HBO), “Happy You’re Alive” (ch1 Israel) and “Numbered” (YES) which won the Silver Hugo at Chicago International Film Festival and “Best Debut Documentary” at the Israeli Documentary Awards. Hilla holds an M.A. from Southern Illinois University and is a co-founder of New York based kNow Productions.